People's Print member Cara Piazza and recent graduate explores textiles through the unusual process dyeing from our natural waste to create her eco fashion collection. I try to pull inspiration from everywhere but I tend to find myself constantly being drawn to mapping and diagramming and locating myself graphically in my surroundings. I'm also inspired by ways to harness nature in urban environments, natural history and oddities, and the occult. What techniques have you used in your final collection? 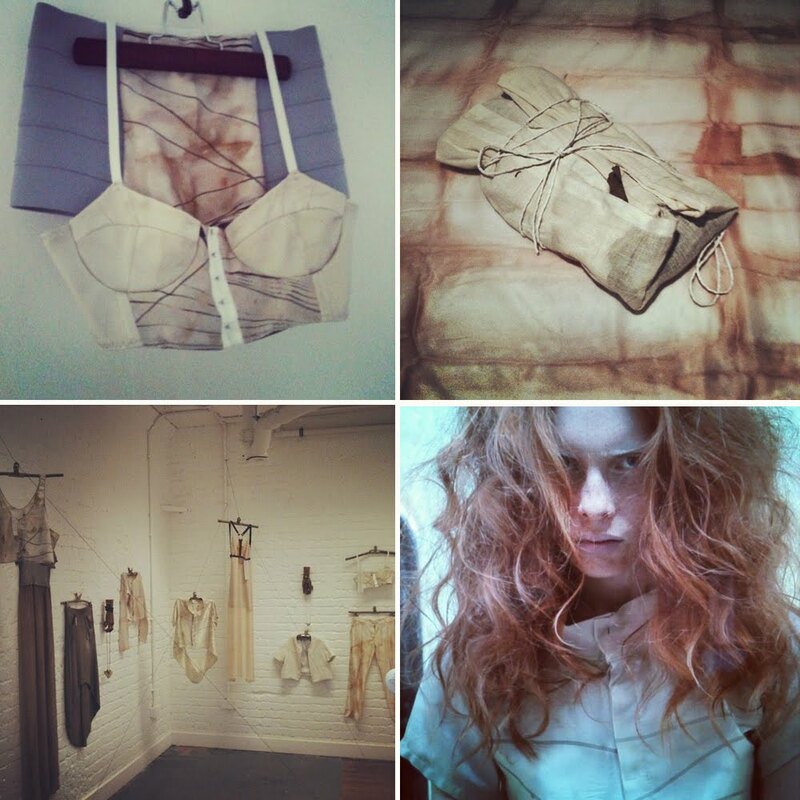 For my final collection I only used natural dyes and screen printing. What excites you about your future as a young textile designer? I am excited to try to help revive the craft of natural dyeing and to help promote local commerce as well with my work. What are your unique qualities that you think you offer as you enter the world of art and design? I believe I have a strong business mentality along side being creative. I have an eye for keeping a client in mind, and think my creative optimism can help solve some key issues in design practices today. What would be your dream collaboration or project? My dream collaboration would be to partner with a restaurant / or some sort of food service to create a studio where we helped and used each others excess wastes. It would be great to try to make a collection that was sold on a large scale simply with by products. The People's Print look forward to dyeing and dining with you in the future! co-design, aiming to create a community of like minded people with a passion for designing their own textiles. The People's Print devise pioneering workshops which look at design theory in parallel with a hands on and practical approach to create textiles design using traditional and digital techniques. Referencing historic movements, culture, heritage, current practices with new technologies and localised industry that foster sustainability. The People's Print offers a toolbox to empower the participant and consumer to be at the center of the design process. Focusing on Digital Textile Design and Print for production. The People's Print workshops are run by Emma and Melanie who work together and independently with the shared passion for creating textiles. Melanie Bowles is author of Digital Textile Design and lecturer at Chelsea College of Art.